Beautiful house of 280m2 very comfortable and quiet with 1000m2 of land located in the urbanization of Monte Carlo, just 3 minutes drive from the beach of Cala Tarida (or 15 minutes walk). 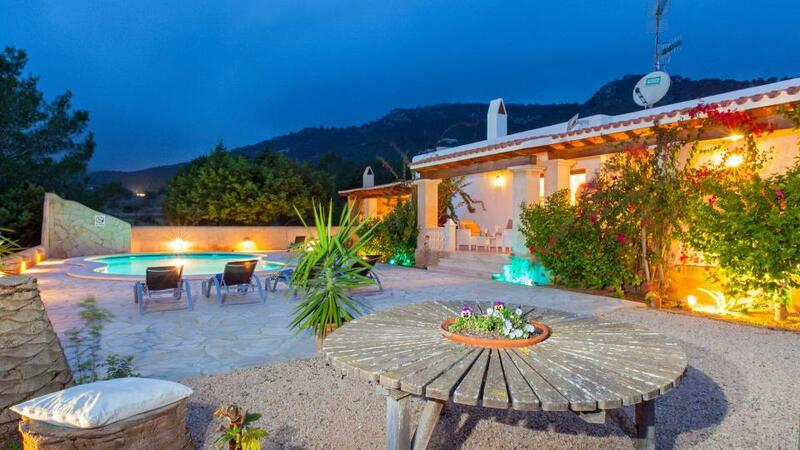 The house is located in a quiet area, with breathtaking views of the sea, the mountains and Cala Tarida. The villa has two levels and a pool with sea view. There is a small garden next to the house. 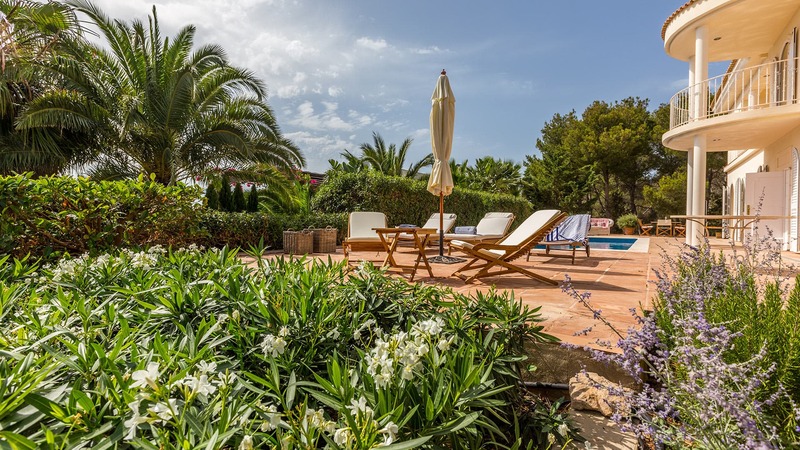 It is ideal for a group of 4-5 people who want to have a good stay in Ibiza. Room, Ground level. This bedroom has 1 single bed. Bathroom ensuite, With shower. Room, 1st floor. This bedroom has 1 double bed. Bathroom ensuite. separate WC room. This bedroom includes also air conditioning, dressing room, private terrace. Room, 1st floor, direct access to the terrace. The bedroom has 2 Beds including 1 double bed, 1 single bed. Bathroom ensuite. This bedroom includes also air conditioning, dressing room, private balcony. Large living room with large TV (international satellite TV) with access to the pool. Large table with 6 chairs. 3 large comfortable sofas around a large fireplace. Open and spacious kitchen next to the living room with dishwasher, oven, stove, fridge-freezer and all necessary appliances ... There is also a washing machine. Direct access to the lounge. 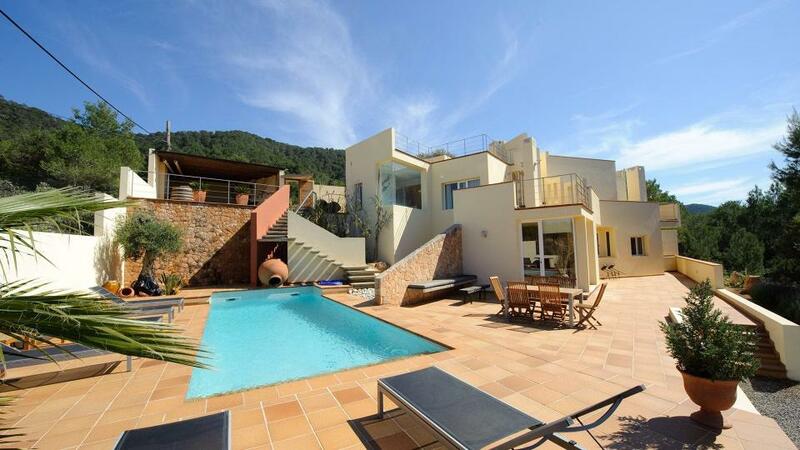 At the top of the first floor, there is a 40m2 terrace with panoramic sea views. Accessible from the first floor with portable ladders. 4 sun loungers and 2 umbrellas. 1 large antique wooden table with 6 chairs. The villa is close (10 minutes drive) to the village of San Jose, which is a great place for shopping, walks, restaurants and romantic terraces. Other beaches that are within walking distance are Cala Vadella, Cala Moli, Cala Conta or Cala Bassa- less than 15 minutes.